The switch can be used as a replacement for the switch Kedu KJD17 and DKLD DZ-6 (Yue Qing Dongke Electron). 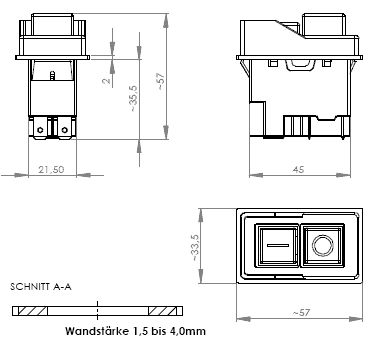 Please not the installation dimensions. There are many variants of this switch. 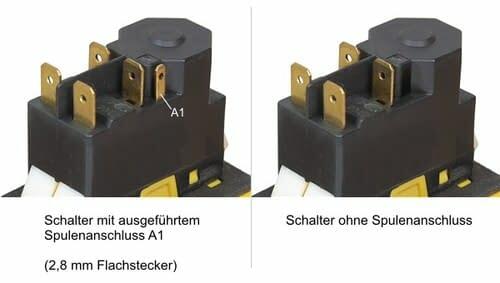 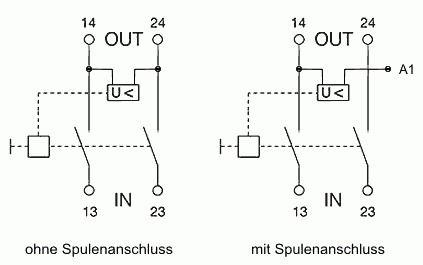 The switch with coil connection has 5 connections, the one without coil connection has 4 connections (refer to image). 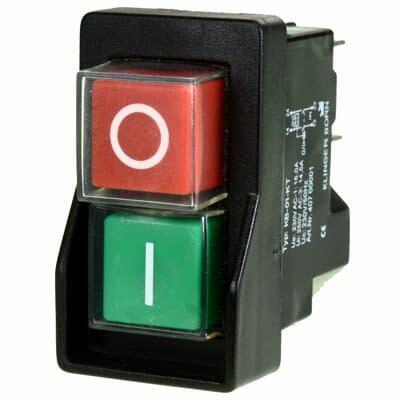 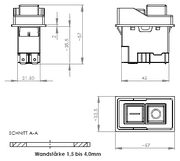 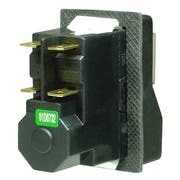 With the help of the coil connection, the switch can be externally triggered using emergency stop-switches or thermal contacts .